Krystal met Jonathan by chance one day when she chose to stay at the beach in Florida where she lived instead of leaving like she'd planned. Jonathan was just visiting, so a month later he returned to Virginia. After keeping in contact for several months, Krystal decided he was worth the move up north. A little over a year later, Jonathan sat Krystal down and played out a sermon that was close to his heart by washing her feet as Jesus had done to his house servant to show a sign of respect. Afterwards Jonathan presented Krystal with a custom made ring. The couple's wedding can be described as beautiful, emotional, sweet, and special. Krystal made sure to include many personal and meaningful elements on her big day. She read vows to Jonathan's children, and the oldest son Mason presented her with a wedding band from the children to go with her ring from Jonathan. This symbolized the family becoming one. 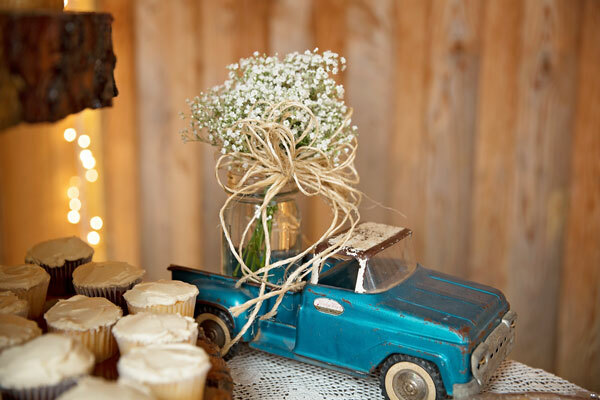 Jonathan's mother made a quilt to be used as a guest book, and a blue truck from Jonathan's father was incorporated as a flower arrangement on the cake table. 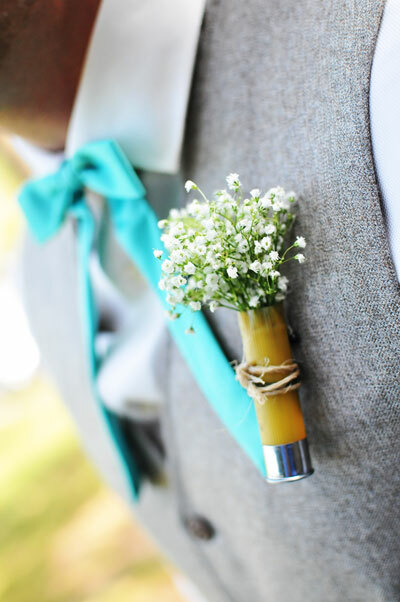 One of the most special elements was the piece of her father's shirt that Krystal had sewn into her dress above her heart so she would have him with her in spirit as she walked down the aisle. She also wore her grandmother's earrings from her wedding day, used a handkerchief of her great grandmother's, and tucked her father's red bandana inside her boot. 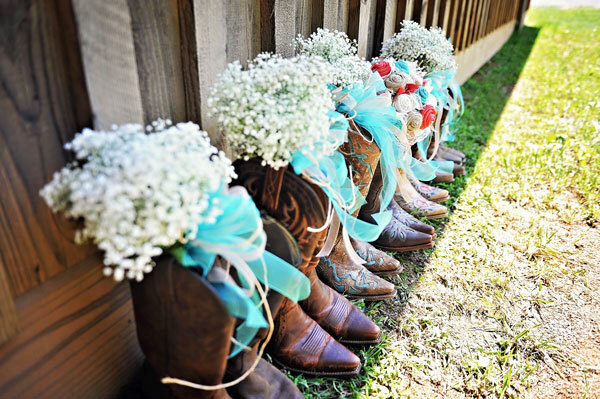 It was also important to Krystal that décor for the wedding be practical. They used a lot of personal mementos collected from antique stores. 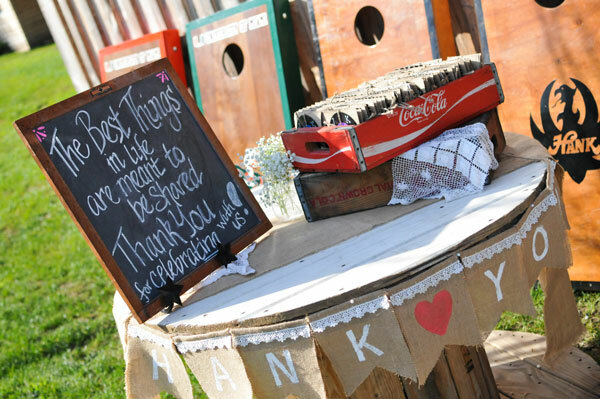 A friend also made a lemonade stand for the reception that now stands in the couple's backyard. 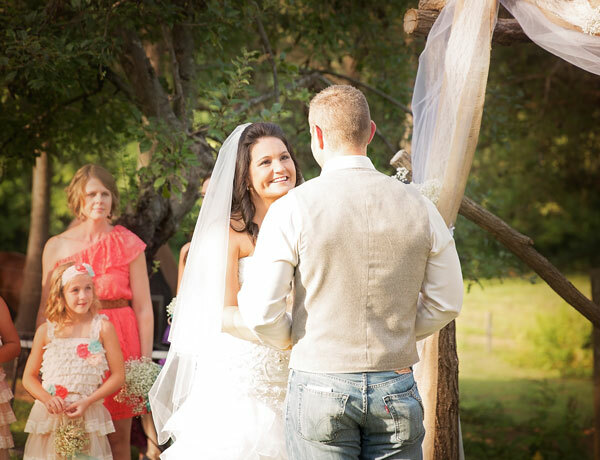 Be sure to see the Mills wedding on page 78 of the third issue of bridebook!